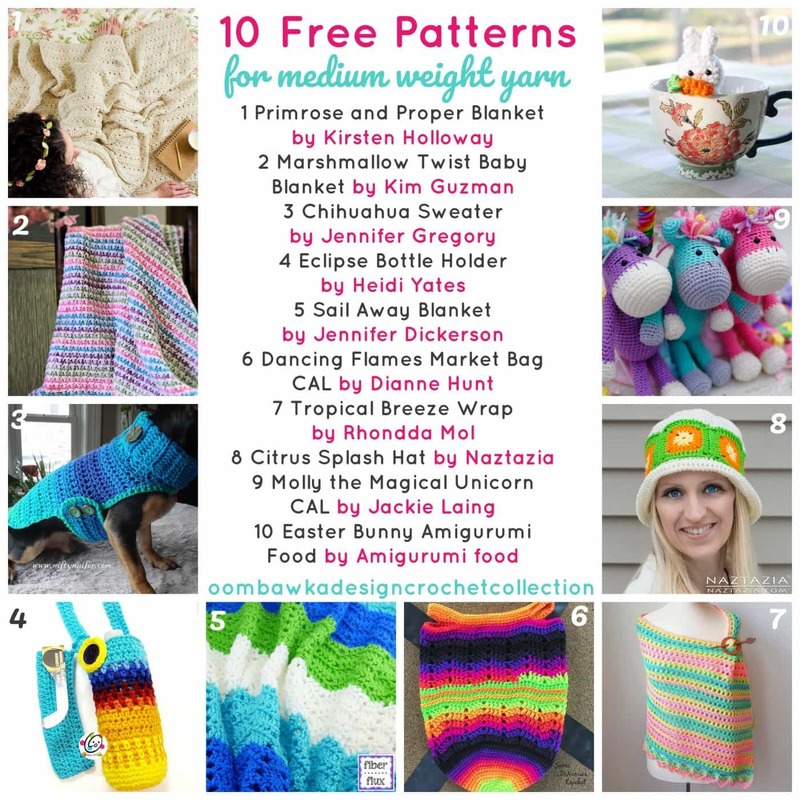 This week I have located 10 free patterns you can make with medium weight yarn. Each of these patterns was designed using Red Heart Super Saver Yarn. I have included the yarn information in the post below so you can search your stash for a suitable alternative if you do not have any Super Saver on hand to use! No-Dye-Lot Solid Colors: 7 oz (198 g); 364 yds (333 m). Prints and Multis: 5 oz (141 g); 236 yds (215 m). Flecks and Heathers: 5 oz (141 g); 260 yds (238m). Stripes: 5 oz (141 g); 236 yards (215 m). Purchase Red Heart Super Saver here!